In the era of Amazon and mainstream e-commerce, every online retailer has to deliver a compelling user experience across their web and mobile channels while protecting customers from cyberattacks and fraud. Recently, Shape collaborated with R-CISC to share attack data and analysis of the most prevalent threats for retailers and best practices on how Top 10 Retailers are mitigating these threats. Watch the threat briefing video here or read a summary of the key points below. Credential stuffing is responsible for more than 99% of all retail account takeovers (ATOs). In one attack on a top 50 retailer, Shape identified over 13.8 million automated posts against a login endpoint, using 80,000 unique IP’s, sustained for 10 days. Prior to blocking, this retailer identified 328,000 account takeovers. For some retailers Shape has observed that over 98.5% of their traffic to gift card endpoints is automated. Gift card cracking is popular because it’s relatively easy to monetize and often done anonymously. Criminals impersonate real users and steal valid gift card numbers by exploiting the retailers’ own applications for purchases, transfers and checking gift card balances. Fake account creation is often used for future fraud including promotions, points, fake reviews and surveys. In one client example, 16k fake accounts were attempted to be created in just a week. Stopping attacks requires the fast identification of automated attackers and manual fraudsters without adding any friction for actual customers. Scalping bots obtain limited availability items, often resulting in items being sold out in minutes. A common scenario is bots buying up high demand concert tickets, congesting the main user flow for everyone else, resulting in a bad user experience and brand reputation damage for a retailer’s most loyal customers. One client experienced a staggering 99.84% of scalping traffic as part of its total traffic leading up to the November Black Friday period. The scalping traffic was instantly blocked once it started routing through Shape. Again, fast implementation is key—especially during peak online shopping periods. Omni-channel protection—across web, mobile and even personal assistants like Alexa—is required to mitigate evolving attacks. To learn more about Shape Security in retail visit www.shapesecurity.com. Retailers lost a whopping $57B to online attacks in 2017, eclipsing losses from shoplifting and inventory shrinkage. The biggest online threat: “Account takeover,” or ATO, wherein fraudsters steal the credentials of legitimate customers. Attackers aren’t just hurting bottom lines; they’re also harming consumer faith overall. Attacks are escalating in size and scope. By December 2017, some 10 million credentials were spilling onto the web each day. Criminals, working in concert across time-zones and national boundaries, use those credentials to overwhelm even the savviest retailers. Big investments in security, by themselves, haven’t foiled these attacks. The stark reality for every e-commerce retailer today is that online fraud is the biggest threat to your business. So what is a retailer to do? Shape’s answer might surprise you: We believe that retailers should run in packs. Just as criminals share information and ingenuity across networks, so too retailers must band together to defeat them—both by understanding the threat and by developing cross-company defenses. Already, many retailers have joined industry groups like the Retail Cyber Intelligence Sharing Center and the Merchant Risk Council, where they trade tips about criminal activity and how to respond. Some retailers are also deploying collective defense capabilities. A network like Shape’s Blackfish uses real-time attack data from many of the world’s largest consumer sites. Then Blackfish can alert companies in the network to known threats, so they can block them—before an attack even takes place. Collective defense capabilities help retailers defeat many of the most dangerous online attacks. Easy, effective and powerful, credential stuffing is a tool of choice for cybercriminals—and is the fastest-growing security issue facing retailers today. How it works: Criminals grab readily available usernames and passwords and use them to attack retail websites. On a typical retail website, credential stuffing makes up 50-70% of total traffic. In some cases, that number exceeds 95%. Once they get in, criminals can make purchases using credit cards linked to the account or drain gift cards. Credential stuffing is difficult to eliminate because criminals adapt to defensive measures quickly, often within 12 to 24 hours. They’re able to invest in rapid response because the profit margins are high. Defeating credential stuffing is very difficult for a single retailer in isolation—but is manageable as part of a network of allied retailers. With a fake account, a criminal can exploit stolen credit cards, defraud other users, reap new-customer perks, and much else. Creating fake accounts at scale requires either automation (i.e. programs that impersonate real users) or mechanical Turks (low-wage workers). Either way, the traffic flows through the same channels as legitimate new customer accounts. The last thing a retailer wants to do is to muck up that channel—or introduce any sort of friction for new customers. That’s why a solution that protects against automated and manual fraud is critical. It can eliminate fake accounts without affecting real users at all. Gift card cracking occurs when criminals correctly guess a valid gift card number which has a non-zero balance. At that point, the criminals either transfer the balance to a card they control, or sell the card on a site like Raise.com or eBay. How does the criminal guess a valid number? He gets a little help from the retailers. Every retailer operates a website or mobile app that allows customers to make purchases or check gift card balances. Criminals exploit these portals. They use programs that impersonate real users and try every possible gift card number. Soon enough, the criminal will have a trove of valid gift card numbers primed for crime. Customer-selected PINs and other authorization steps have proven flimsy defenses—and so, retailers often face a difficult choice. Many preventative measures create more friction for their customers. But with a real-time adaptive application defense system, retailers can actually block attacks without customers even realizing it. To learn more about these threats, explore new attack techniques from the holiday season and best practices we observed from Top 10 Retailers, watch our Retail Threat Intelligence Briefing webinar on-demand. Over the past 12 months, we have seen dozens of the world’s largest online services report that they had been breached by attackers who were able to gain access to their customers’ login credential data. By the end of 2016, over three billion credentials in total were reported stolen, at an average pace of one new credential spill reported every week. These numbers are a record and include the two largest reported credential spills of all time, both by Yahoo. Near the end of the year, the National Institute of Standards and Technology published the Draft NIST Special Publication 800-63B Digital Identity Guidelines, recommending that online account systems check their users’ passwords against known spilled credential lists. As the size and frequency of credential spills appears to be increasing, today we are publishing the 2017 Credential Spill Report. This report includes key findings from the credential spills reported in the past year and data from the Shape network to provide insight into the scale of credential theft and how stolen credentials are used. In particular, stolen credentials are now used every day in credential stuffing attacks on all major online services. In these attacks, cybercriminals test for the reuse of passwords across websites and mobile applications. In the past, announcements of credential spills would focus on the security of accounts at the organization which reported the data breach, but now people are realizing that the widespread reuse of passwords by users across websites means that a breach on one account system endangers all other account systems. At Shape, we have a unique view into this activity because our technology protects the world’s most attacked web and mobile applications—those run by the largest corporations in financial services, retail, travel, and other industries, as well as the largest government agencies—on a 24/7 basis. Over 3 billion credentials were reported stolen in 2016. 51 companies reported suffering a breach where user credentials were stolen. Yahoo in 2016 reported the two largest credential spills of all time. The next largest credential spills in 2016 were reported by Friend Finder, MySpace, Badoo and LinkedIn. Tech companies had the largest total number of spilled credentials (1.75 billion). The gaming industry had the largest number of companies with spills (11). 90% of login requests on many of the world’s largest web and mobile applications is attributable to traffic from credential stuffing attacks. There is up to a 2% success rate for account takeover from credential stuffing attacks, meaning that cybercriminals are taking over millions of accounts across the Internet on a daily basis as a result of credential spills. Credential stuffing attacks are now the single largest source of account takeover on most major websites and mobile applications. One Fortune 100 retailer experienced a credential stuffing attack with over 10,000 login attempts in one day coming from the cybercriminal attack tool Sentry MBA, which is the most popular credential stuffing software and appears to be used to attack nearly every company in every industry. Analyzing 15.5M account login attempts for one customer during a four month period, over 500K accounts were confirmed to be on publicly spilled credential lists. The most important takeaway for consumers is that you should never reuse passwords across online accounts. Selecting a strong password is not enough; if you have reused that same password on multiple sites, and one of those sites is breached, your accounts on all of the other sites where you have used the same password are now at risk. For companies, a lot of public attention is focused on any organization that experiences a data breach and loses control of their users’ credentials. However, the real issue other companies should focus on is protecting themselves against those passwords being used to attack them and their own users. Credential stuffing attacks easily bypass simple security controls like CAPTCHA and Web Application Firewalls, so relying on those mechanisms does not offer any protection. Controls like two-factor authentication can help, but of course come with other drawbacks. In any case, getting educated is the best course of action. The Open Web Application Security Project (OWASP) provides a starting point for learning about credential stuffing and other automated attacks in their list of OWASP Automated Threats To Web Applications. To learn more, download the full 2017 Credential Spill Report. Sentry MBA, an automated attack tool used to take over accounts on major websites, makes cybercrime accessible to legions of attackers across the globe. Sentry MBA illustrates the pivotal role automation plays in online attacks and shows how cybercrime is increasingly compartmentalized and commoditized. Allow me to illustrate with a short story. Let’s say you’re a would-be cybercriminal looking to make some quick cash. There are many ways to make money on the Internet – especially if you think shoplifting’s a harmless recreational activity – so you hatch a plan to break into your favorite online electronics retailer’s website, order a few televisions, and have them shipped somewhere you can grab them. After doing some research, you may stumble across a tool like Sentry MBA. You might not have the technical expertise to research and hand-craft a targeted online exploit, but with Sentry MBA you can launch sophisticated and damaging attacks that are capable of penetrating the defenses employed by major corporations. It’s a numbers game that works because so many people use the same passwords for multiple online accounts. Any list of stolen credentials will almost certainly include some that allow you to access accounts on the site you’ve targeted. Once you’re in, the retailer is your oyster. You can order any fancy gadget you please with the victim’s stored credit card number, change the ship-to address for your delivery convenience, and resell the goods for cash. Once you’ve maxed out one credit card, just rinse and repeat for all the accounts you cracked. Sentry MBA automates the process of testing millions, or tens of millions, of username/password combinations to see which ones work. Without automation that task is impossibly time-consuming. Two attacks in December highlight how cybercriminals are turning their attention to mobile APIs. The first attack, focused on the target’s traditional website application, made over 30,000 login attempts using proxies located in eastern Europe. The second attack, focused on the target’s mobile API, made over 10,000 login attempts on a daily basis. Both attacks shared hundreds of IP addresses and other characteristics, indicating the same actors may have been responsible. By reducing the level of technical skill needed to mount a sophisticated cyberattack, Sentry MBA brings damaging attacks within reach of more and more cybercriminals. The open web and darknet are filled with forums offering working Sentry MBA configuration files for specific sites and credential lists to try. These underground markets, combined with automated tools like Sentry MBA, create a new cybersecurity reality where devastating online attacks can be launched by any individual with minimal resources. The best way to stop Sentry MBA attacks is to detect and deflect them before they take over accounts through your website or mobile application API. Shape Security protects you and your customers from online fraud committed by cybercriminals using automated attack frameworks, whether they are Sentry MBA or other toolkits. For an in-depth exploration of Sentry MBA, please see our post from our research team: A look at Sentry MBA. Our last post covered how credential stuffing poses a significant danger to consumer and enterprise websites. But how much does it cost to actually execute this powerful attack? Learn about how an adversary can hijack one million accounts for less than a fast food meal. Credential stuffing is a dangerous threat. Using simple mathematics and publicly available data we’ve been able to show how attackers are using botnets to try to hijack 1 million online accounts for just $3. Assuming a 1% success rate, attackers are still netting 10,000 accounts for $3. The economics of botnet technology makes credential stuffing a growing threat for consumers and enterprises. To highlight the economics of credential stuffing, let’s compare labor costs between a single human, a bot, and a botnet to test 1 million credentials. According to WSJ, a botnet costs $2 to rent. Using a botnet, an attacker can test 1 million accounts in a matter of hours (100 minutes to be exact). Credential stuffing is a web threat enabled by the rise of cheap botnets. In years past, testing 10 million passwords against a given website was both expensive to do, and easy to detect. Today, cheap botnets consisting of end-user machines have turbocharged credential stuffing. Now, the attack is cheap to perform and very hard to detect. Attackers regularly cycle through 10,000 to 100,000 IP addresses a day, making detection challenging. Prior to the development of these technologies, the cost and time commitment required to launch this kind of brute force attack was prohibitive to attackers. The advent of botnets allowed credential stuffing attacks to be done in as little as a few days, while avoiding the IP reputation and throttling controls that prevent repeated login attempts. Cheap, easy-to-use botnets are plentiful on the black market, and potential attackers are more comfortable with using technology than ever before. The attackers who control these botnets are still held to the same economics as white-market products and services. Criminal entrepreneurs need to weigh the costs of infrastructure, labor, and profits to justify testing millions of credentials. And as they race against the clock for consumers to change their passwords, criminals become desperate for tools that make account takeover easier, faster, and more profitable for their enterprise. In the last 5 years, bot technology has innovated the black market economy. As a result, we have seen a dramatic increase in automated, scripted attacks amongst our customers. If you would like to read more about the lifecycle of an automated attack, you can read our previous blog here. Contact us to learn how Shape Security can protect your site. [update] In this updated version of this blog post we refer to a single node bot. In a previous version of the same blog post we referred to a click-farm. Credential stuffing is a growing threat to the web community. As more companies are offering their goods and services online, customers practicing bad password hygiene are in danger of having their account stolen whenever a website is breached. Read more about the rise of credential stuffing below. Credential stuffing is taking lists of breached credentials from one website and testing them against another. According to the most recent Verizon Data Breach report, it’s one the fastest rising attack vectors. The list of major companies that have fallen to this attack is impressive: Sony ‘11, Yahoo ‘12, Dropbox ‘12, and JPMC ‘14. 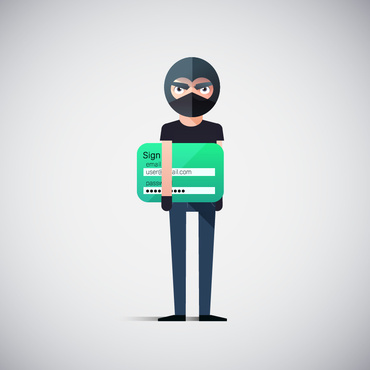 Credential stuffing is a general concept, but the outcome of successfully taking over user accounts results in more specific attack in various industries: stealing hotel reward points, pilfering airline frequent flier miles, and committing gift card fraud, to name just a few. Credential stuffing is the automated testing of breached username/password pairs in order to fraudulently gain access to user accounts. This attack involves checking large numbers of spilled credentials against various websites to uncover credentials that are valid on a target website. Attackers then hijack those accounts and commit various types of fraud. The attacker acquires spilled usernames and passwords from a website breach or password dump site. The attacker uses an account checker to test the stolen credentials against many websites (for instance, social media sites or online marketplaces). Successful logins (usually 0.1-1% of the total login attempts) allow the attacker to take over the account matching the stolen credentials. How is Credential Stuffing Different from Existing Threats? We’ve classified credential stuffing as a renewed form of attack because the primary vector for account takeover has changed from the breaching of databases to automated web injection. According to our analysis, credential stuffing is now the most popular method used by attackers to achieve account takeover. This is particularly dangerous to both consumers and enterprises because of the ripple effects of these breaches. Below are excerpts taken from publications analyzing these large-scale breaches. There is evidence to support that these breaches were connected by credential stuffing. Anatomy of the 2011 credential stuffing attack on Sony. Credentials from smaller sites are leaked and injected into Sony’s login pages to test for credential reuse. The attacker gained access to any Sony accounts which used the same credentials as were leaked from the smaller sites. Using botnets, Sony credentials were tested on Sony’s login page. According to Wired, this resulted in 93,000 breached accounts. In other words, the credential stuffing attack that led to the Sony breach was made possible by prior breaches of smaller sites. This connected chain of events from Sony to Yahoo to Dropbox excludes JPMC. The JPMC breach came from a separate and unrelated source. We know that the JPMC breach was caused by attackers targeting an unrelated third-party athletic race/run site for credentials to use against JPMC. What Can SysAdmins Do to Prevent Attackers from Hijacking User Accounts by Credential Stuffing? The answer requires an understanding of the technical mechanism by which credential stuffing works. Like account checkers, credential stuffing works by using the static form elements of the login page as an implicit API. The attacker references various form element names (email and password) in order to interact with the target webpage. Since most websites accept such traffic as normal (having no means to distinguish between intended and malicious use), the attacker can automate the attack by using scripts and account checkers to easily run through millions of tests per unit time. Using a large-scale distributed botnet and a huge number of IP addresses allows the attacker avoid rate and volume limits which might otherwise prevent such a large number of login attempts. Thus, it is trivial even for unsophisticated attackers to launch attacks of this nature and scale against some of the largest websites in the world. To defend websites against such activity, which we call “unwanted automation,” Shape Security uses an approach that is familiar to attackers: we dynamically change the underlying code of the site each time a page is viewed to defeat the types of scripts used in credential stuffing attacks. Just as malware authors have long used polymorphic code to evade antivirus products by constantly presenting different signatures, Shape’s solution creates a moving target which frustrates potential attackers attempting to automate easy credential testing on the website using scripts. 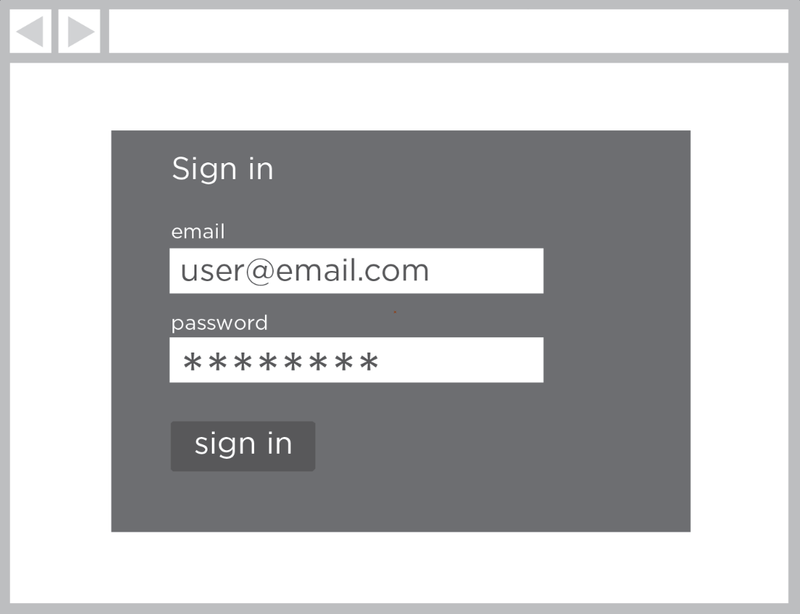 The effort an attacker must invest to successfully automate login attempts on a given website without changing the front-end use experience. Of course, savvy readers will point out numerous ways these measures can be circumvented. While, it is beyond the scope of this article (but perhaps the subject of future pieces) to consider such attacks (DOM, GUI, and others), Shape is keenly focused on comprehensively defeating them and has solutions at each of those levels. Today we introduce and explain an attack tool that is becoming more prevalent among our customers: the Account Checker. This credential stuffing tool isn’t new, but usage is rising sharply for reasons we’ll discuss below. Although very conceptually simple and easy-to-use, account checkers are extremely powerful. An account checker is an attack tool that takes lists of spilled username/password pairs (i.e. “credentials”) and tests them against a target website. Powerful account checker packages cost as little as $100, and adversaries can also create their own account checkers from off-the-shelf web automation toolkits like Mechanize, PhantomJS, IEC.py, Sikuli, Selenium or iMacros. These toolkits reduce the technical burden to write account checkers and conduct credential stuffing attacks. Below is a ‘benign’ account checker called namechk.com that illustrates how account checkers work. This tool checks if a given username is available on various social networks. We checked the username “shapesecurity” and this tool correctly identified all the sites on which that username was taken. This service uses a script that automatically tests a given username against all the websites visible in the image (e.g. Blogger, Facebook, Youtube, Twitter, etc.). A criminal account checker functions in the same fashion as the above tool, and adds additional capabilities like checking whether various passwords (based on guessing algorithms, or one of the top 25 passwords) work on that site. The full process of checking usernames and passwords, along with malicious intent, leads to the widespread attack of credential stuffing. A Microsoft study found that the average user has just over six passwords, that each password is shared across four different sites, and that each user has about 25 accounts that require passwords. Meaning breach anywhere results in passwords on 3.9 top sites becoming public. Brian Krebs wrote about the off-the-shelf account checker below. This is the same type of tool used to hack Hilton. This checker is able to ascertain whether credentials are valid, and scrape the point balance, last four digits of the credit card number, and billing address of the card. Below is a sample of the underlying code of an account checker. This account checker tests large numbers of credentials. When it finds a valid pair of credentials, it scrapes PII and steals stored value and credit card details from the account. Where do attackers get lists of credentials? The fuel for any account checker is a list of credentials. Fortunately for attackers, there are a huge number of credentials that are public. Hundreds more credentials are leaked each day on this twitter handle: twitter.com/dumpmon. Many security professionals use this list to identify which user accounts on their respective sites have been compromised, and to lock out compromised accounts. Obviously, attackers also use this list, in conjunction with account checkers, to find vulnerable accounts which they then use for various fraudulent activities. What can security professionals do to curb account checkers and prevent attackers from hijacking user accounts? The answer requires an understanding of the mechanism by which account checkers work. and thus gladly accept the attacking traffic. This allows the attacker to automate the website using account checkers and easily run through millions of tests over the course of a few days or weeks (often using a large distributed botnet and a huge number of IP addresses in order to avoid rate and volume limits). Thus, even very unsophisticated attackers can trivially launch potent attacks against many of the largest websites in the world. To defend websites against such activity, which we call “unwanted automation”, we use an approach that is familiar to attackers – we change the underlying code of the site on every pageview. Just as malware authors have long used polymorphic code to evade antivirus products by constantly presenting different signatures, so Shape’s solution creates a moving target which frustrates scripts that seek to automate a website. This allows sysadmins to increase the effort an attacker must invest to successfully script or automate a given website. Of course, savvy readers will point out numerous ways in which to conduct attacks in different ways. It is beyond the scope of this article (but perhaps the subject of future pieces) to consider such attacks (DOM, GUI, and other). Shape of course is keenly focused on comprehensively defeating all such attacks and has solutions at each of those levels. Click here to learn more about the ShapeShifter Botwall security solution, which is available in hardware and software packaging.